The rise of Web 2.0 enabled Internet users to generate content, which often contained emotion. Considering the value of this content, automatic prediction of sentiment, i.e., sentiment analysis, became a popular area of research in natural language processing. 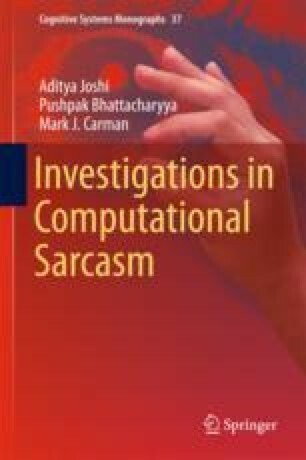 A recent advancement in sentiment analysis research is the focus on a challenge to sentiment analysis, namely sarcasm.